Famed names built off legacies associated by family trees always make for something interesting to see. 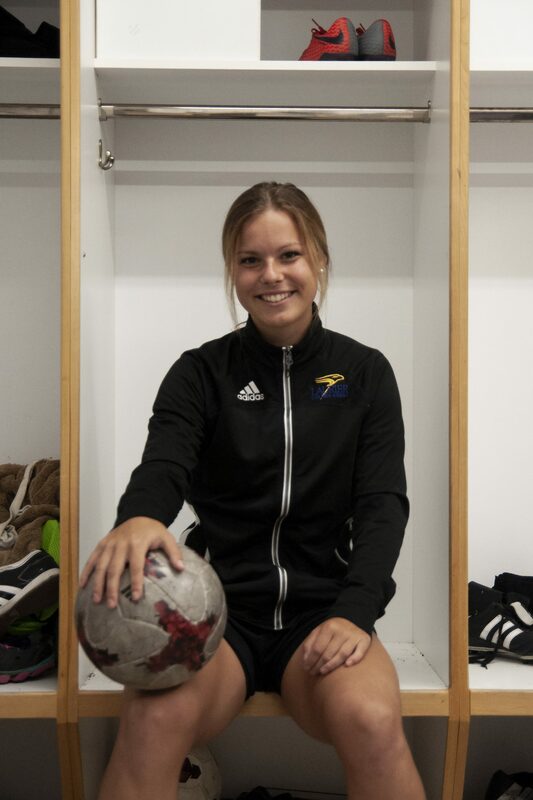 Erin Braun, a Kitchener native, is one of Laurier’s new incoming women’s soccer players to see the field and have a positive impact so far this season. The reason her name carries some weight is because of her older sister, none other than Jessa Braun, who starred at Laurier Brantford and was a finalist for the Outstanding Woman of Laurier award just this past year. “My sister has always been my biggest role model. She’s done so much for Laurier and she’s an incredible athlete herself,” Braun said. The decision to come to Laurier wasn’t exactly because of her older sister though. It’s a long time in the making for Erin. “I started playing soccer when I was really, really young. When I was about 12 or so, I watched a lot of Laurier women’s soccer games. Ever since then, it’s kind of been where I’ve wanted to go. They’ve always had a pretty successful team and I wanted to be a part of that,” Braun said. So far, she has started all but one of the games she’s played in, having scored her first career goal in Laurier’s first and only win of the season so far against York. While she didn’t expect this yet, she definitely has had an impact at points in the season. The grasp on the idea of focusing on herself is something to show for, considering most people can overthink their path in comparison to a family member’s at the same place. Impact in soccer doesn’t always have to do with putting goals up on the scoreboard and while she’s not lighting it up in terms of goals, her play has helped plenty and the midfielder lacks no confidence in her game either. “I feel like I’m able to make just as much of an impact as any of the other players. I just need to keep working on my weaknesses, hopefully that could contribute a little bit better. I think that I have just as much potential to make the team better as any of the players do,” she said. While it has been a slow start to the year for the Golden Hawks, she seems to be optimistic about the way they could turn their season around. “So I think that we still have a lot of potential for the rest of the season. We still have about a month and a half ‘til playoffs, so I think we can really pull it together before then,” Braun added. With a younger team trying to find their way, the Golden Hawks definitely have young talent to look out for as they go along and improve. The grasp on the idea of focusing on herself is something to show for, considering most people can overthink their path in comparison to a family member’s at the same place. With Laurier playing Windsor next, it should be interesting to see how much this team grows starting with Braun. Not only this year, but upcoming years as well.